Make the puree by removing the stems, cutting the fruit in half, then scooping out the flesh. Mash with a potato masher or puree in a food processor. 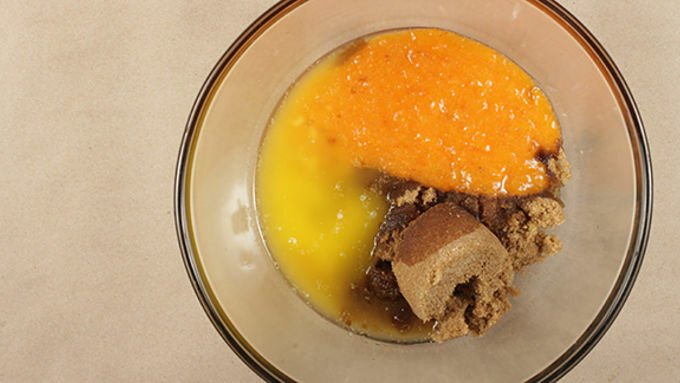 Mix the puree with the butter, brown sugar, egg, and vanilla extract in a large bowl. Sift in the flour, baking soda, pumpkin pie spice and salt. 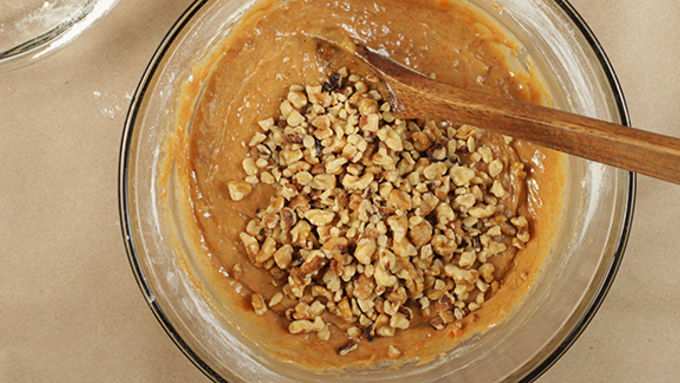 Mix well, then add the walnuts (and raisins, if using) . Chill batter for 1 hour. 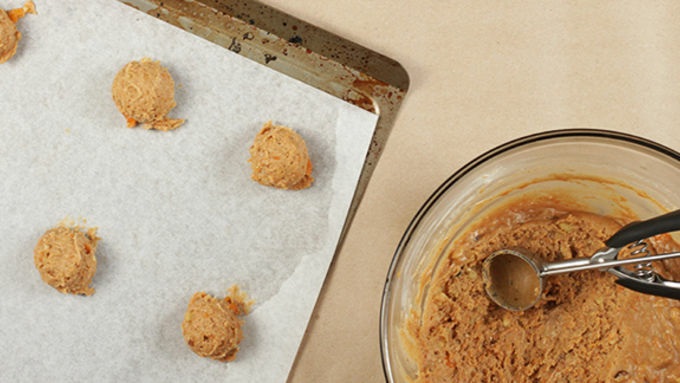 Preheat the oven to 350°F and line a cookie sheet with parchment paper. Scoop out the dough in a little larger than Tablespoon sized scoops. Bake for 10-12 min, rest on sheet for 5 min. then cool completely on cooling rack. 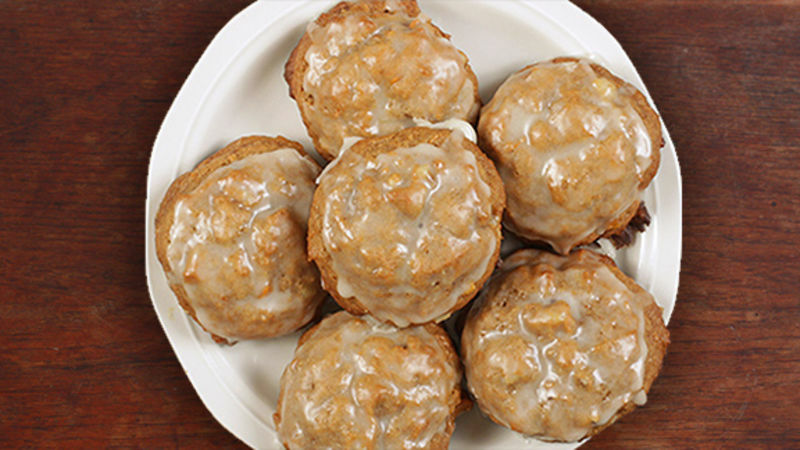 Once all cookies are cooled make glaze by sifting the powdered sugar then whisking in the orange juice and the bourbon. Dip the tops of the cookies in the glaze and then set on parchment paper or wire rack to let glaze set. It’s that time of year again – COOKIES ARE EVERYWHERE. A lot of cookies are traditions carried on from family members, and these persimmon cookies are exactly that for me. Growing up, we would go to my grandparents and they had a giant persimmon tree outside. My grandma would make cookies out of the fruit and top it with a lemon glaze. This is my little remix, with an amped up glaze. We’ve got the persimmons, some brown sugar, melted butter, spices, and the dry ingredients. 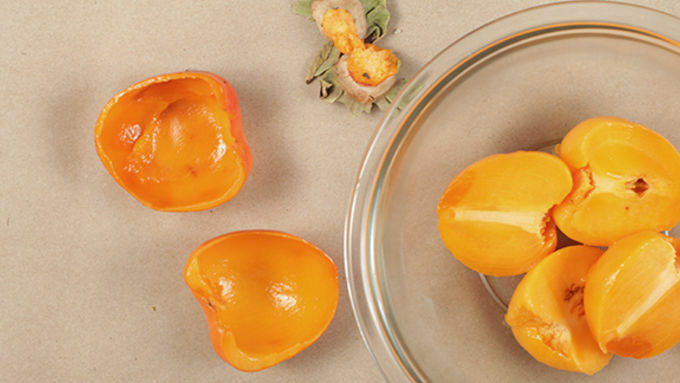 Pureeing persimmons is simple. The easiest way to get the puree is to use a food processor. If you don’t have one you can use a potato masher, it’ll just be a little chunkier. 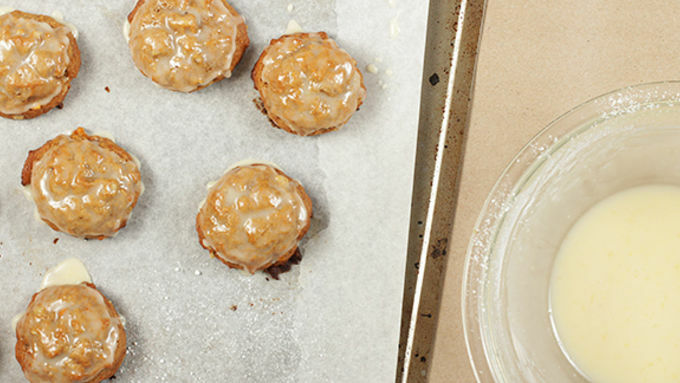 Then mix, chill, bake, and enjoy these tender, sweet, bourbon glazed cookies!